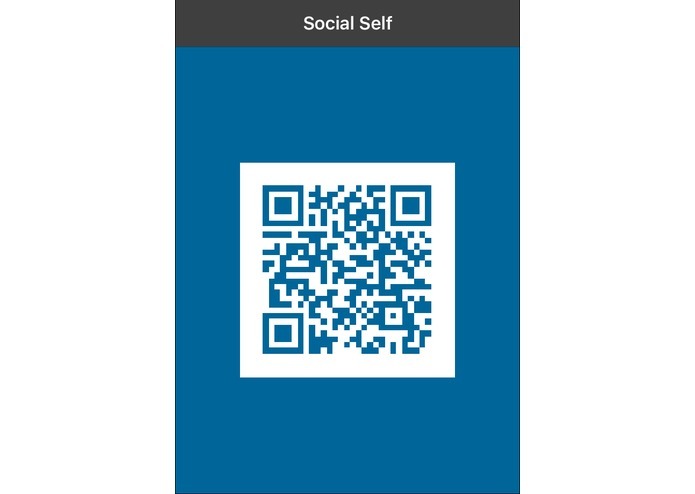 SocialSelf allows users to add each other on ALL their social media platforms simply by scanning a QR code. Social networks have become increasingly prolific, and the number of widely used social media platforms has been growing every year. Because of the lack of integration between social networking platforms, adding a person on multiple social media outlets remains a time consuming task and annoying task. Making friends and meeting new people should not be this difficult. 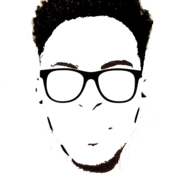 Social Self is a social media aggregator. Simply sign up on socialself.net with your facebook account, and add your ID for your social media accounts. 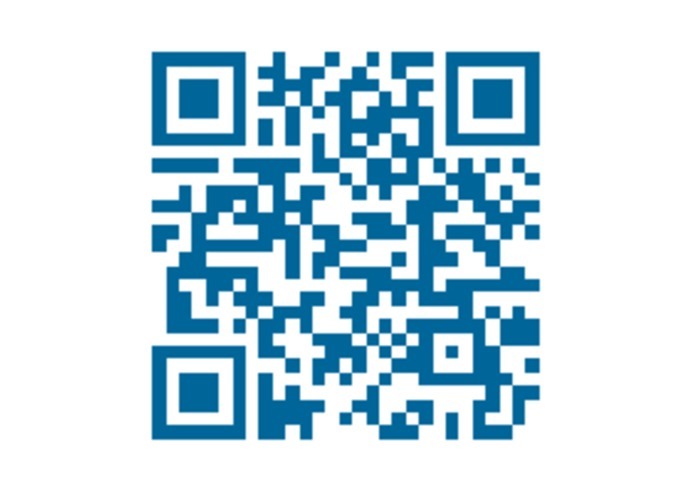 The website will generate a QR code, which you can port to the iOS application. 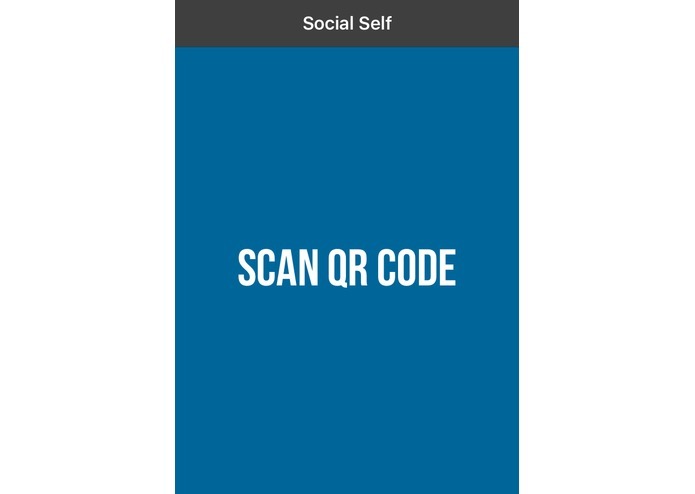 When the QR code is scanned within the app,it will prompt the recipient with a scrolling page view with all of the user's available social media accounts. We needed a database to store all of our user account info, but none of use knew any backend. As a result, creating and trying to use a SQL server ended up being a huge time sink that in the end, wasn't feasible to implement in the scope of this hackathon. We first set up a Microsoft Azure MSSQL database, however, connecting to it through php took quite a while, and a lot of troubleshooting. Unfortunately, even after we managed to create a connection, we still couldnt get mssql to work. We then switched to MySQLi & php on a localhost server. Setting up the localhost server was also very time consuming. We were able to successfully make a backend module with php and MySQLi that allowed developers to add users, and update/retrieve their info. However, we were unable to find a server to host our database, as our Azure plan did not allow mySQL hosting, and we never heard back from AWS after we signed up. We were also worried about our database security (hint: it wasn't), and integrating with our front end. With a deadline looming over our heads, and other areas to focus on, we decided to scrap it in and save it for a later date. We also ran into trouble developing an android platform, integrating facebook login onto the website, redirecting our github.io website to our domain, and using git. 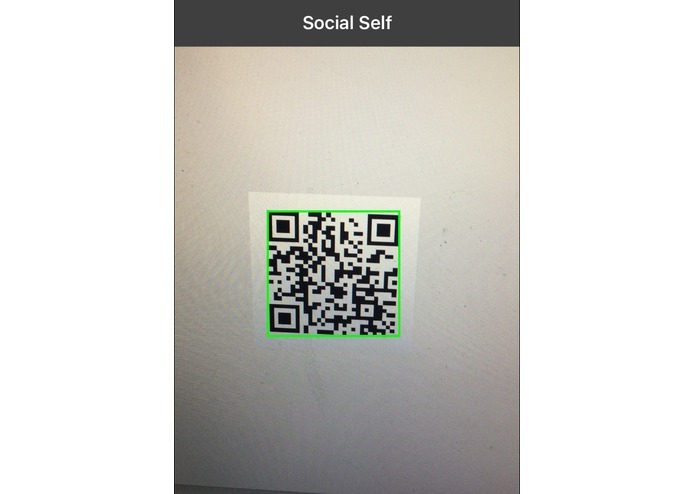 Incredibly fast execution: it takes less than 30 seconds to scan the QR code and add the person on all social media accounts. Now that's fast. Plus we are a group of first years who met for the first time at this hackathon. For 3 of us, it was our first time using git for team production. We created something worth presenting, and we're all tremendously proud of that. Understand the capabilities of every technology that we consider using. We can't assume that we can accomplish something with a given technology just because it seems like it could work, especially not when we're under such a strict schedule. This is a service that makes sense. We're planning to really polish our execution and utilize the technologies that we didn't have time to explore while here at QHacks. Our current product has a lot of potential to go much further. Obviously, we'll have to set up a database for ourselves. One thing that we're looking into immediately is adding more social platforms. Currently, we support facebook, instagram, twitter, and linkedin profiles. We're working on adding options to add email, phone numbers, snapchat profiles, personal websites, and possibly more social platforms in the future. We're also working on easier integration and sign up - instead of users adding their usernames for each account manually, we're working on options for users to connect to their accounts with the click of a button through the various social media API. 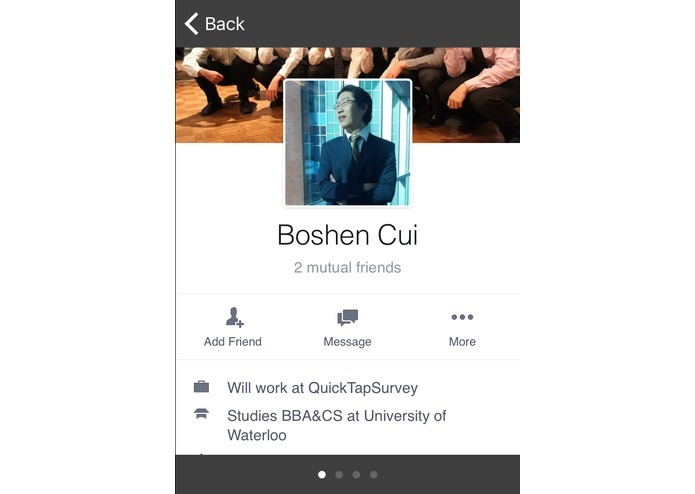 We've managed to add logins with facebook, and there's many more to follow. Another idea that has potential is creating multiple configurations for users - for example, a user could have one QR code for business (shares your email, phone number, linkedin, and personal website), and one for pleasure (facebook, snapchat, twitter). Using SocialSelf in the future could be as normal as business cards today. 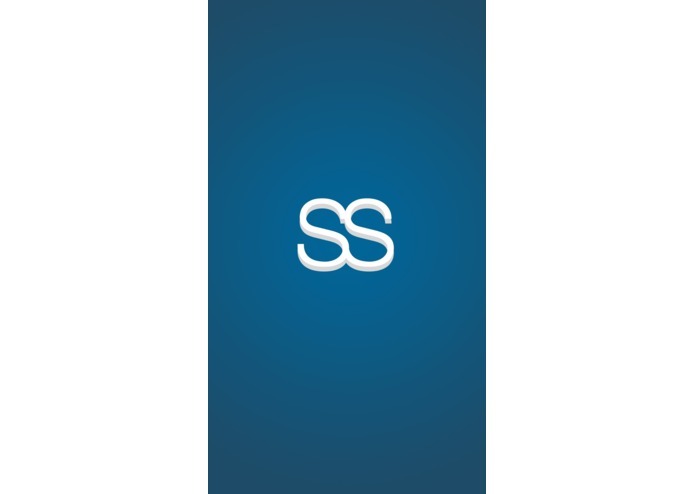 SocialSelf also has the potential as to be a social media content manager - managing all your different platforms, posting, viewing content, etc - through one site and one app. This would not only be a great convenience to regular users, but could also be useful for PR for companies, marketing campaigns, and celebrities, who need to be able to maintain their image on all their social platforms.